Upgrade to a stealthier look while retaining your factory style with a set of Xtune black crystal headlights. 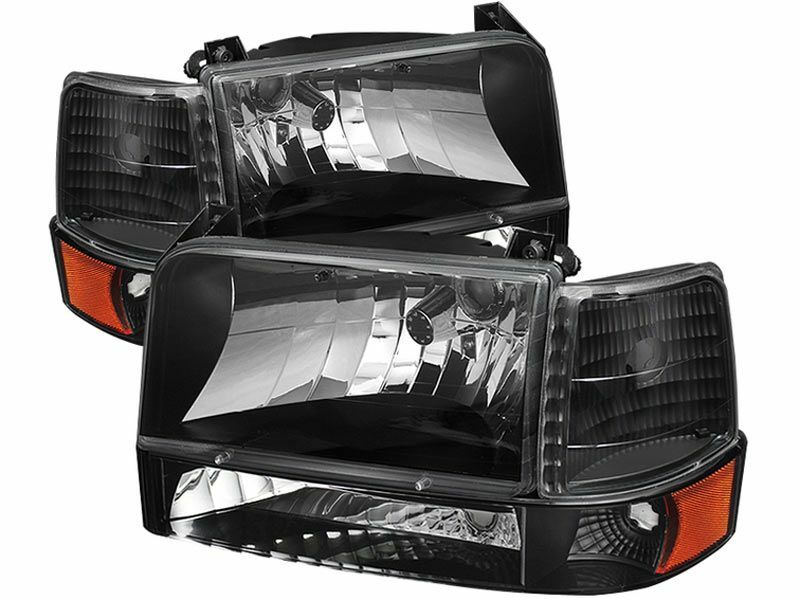 These lights are bright and will improve your nighttime field of view along with your vehicle's appearance. These headlights will make you more visible to other drivers which means that you will be safer on the road. Black crystal headlights from Xtune are CAD made to be direct replacements for you factory headlights. No drilling, cutting, or special tools are needed and the plug-n-play installation takes almost no time at all. These headlights come with a sleek black housing to blend in with your front end. The clear lens and multi-faceted reflector will provide you with brilliant illumination for years to come. Don't wait any longer, replace your worn out head lights with some stunning new Xtune black crystal headlights! Xtune offers a one year warranty for their lighting accessories. Xtune will warrant that your product will be free of defects in materials and workmanship under normal use by the original consumer purchaser for one year from the original purchase date. This limited warranty does not cover any damage caused by improper installation, road hazard, accident, racing, misuse, alteration, or normal wear and tear. All Xtune lighting products are designed to make the installation process simple and easy. All mounting hardware and wiring comes included and there are no special tools required. If you have any questions or would like any additional information, you can always give our customer service department a call. They are available seven days a week for your convenience.